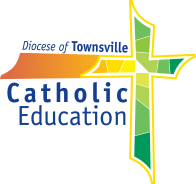 Townsville Catholic Education is seeking applications from dynamic, experienced Catholic School leaders interested in the Assistant Principal (Primary) Religious Education role at Southern Cross Catholic College, Annandale in Townsville. The Assistant Principal (Primary) Religious Education leader is responsible for the leadership and management of quality Catholic schooling. You will lead, guide and influence within the school faith community. 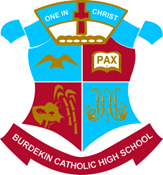 This career opportunity is open to innovative Religious Education school leaders who are resilient, creative, hardworking, and who are focused on developing the capacity of each student and staff member. Please complete the application form and upload a current CV with a covering letter. Your CV should include referee details of your current line manager and your Parish Priest. Ideally, the successful applicant will be able to commence on 22 April, 2019. There is an openness for the negotiation of the commencement date for the successful applicant. For a confidential conversation please contact Mary-Ellen Pattinson mpattinson@tsv.catholic.edu.au.